I didn’t get very good sleep last night. I went to bed at midnight and it seemed like I woke up every 2 or 3 hours. I finally got out of bed at about 7:30. I was a little dizzy and very tired, but I forced myself to workout. My time and distance was not very good (6.5 miles in 77.37 min—6.2 miles in 73.59 min), but considering I didn’t want to work out in the first place I guess it was decent. 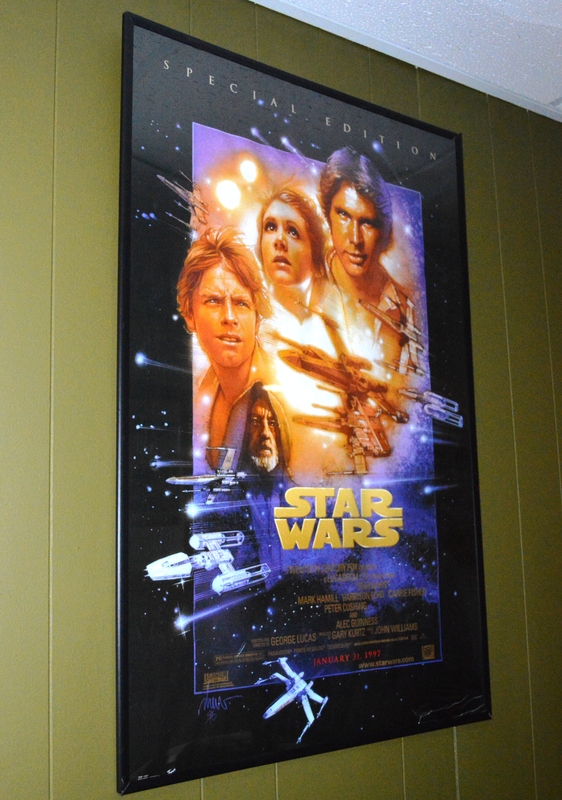 When I was on the treadmill, struggling to jog, I looked over at the Star Wars DVD release poster on the wall (I can’t afford the original movie poster). “The young women will dance for joy… I will turn their mourning into joy. I will comfort them and exchange their sorrow for rejoicing… This is what the LORD says: ‘A cry is heard in Ramah— deep anguish and bitter weeping… Do not weep any longer… There is hope for your future,” says the LORD” (Jeremiah 31:13, 15-17, NLT).